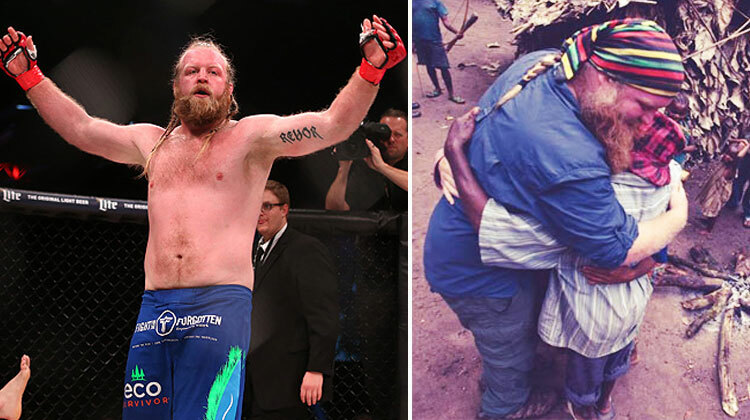 Justin Wren was at the height of his UFC fighting career when things took a sad turn. Drug and alcohol addiction overtook him and he was kicked off his professional fight team. Things spiraled from there, with depression taking hold and multiple failed suicide attempts, Justin felt himself losing hope. But one friend convinced him to hold on and thanks to a very special retreat in the Texas Hill Country, Justin knew it was time to take control. But he didn’t go back to the fight world. Instead, he took his newfound faith abroad. Taking off on various mission trips, it was one particular voyage to the Democratic Republic of Congo that would change everything. His time away was supposed to be a short-term commitment, but now? He’s devoting his life to the tribes he’s met. 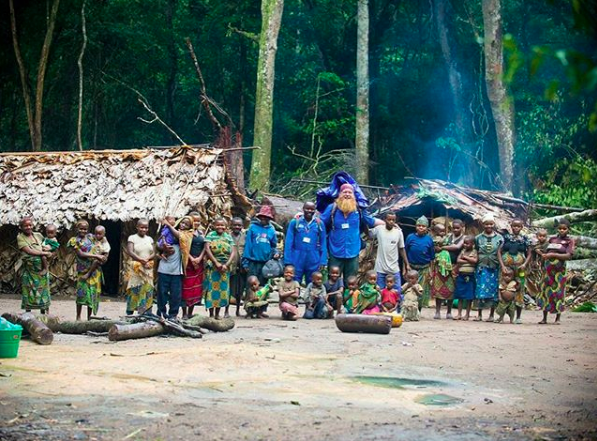 On his first mission to the Congo, he met the Mbuti Pygmy people — and they took off running. It’s understandable why, though. He is, after all, a towering white man with a huge beard… and they’d probably never seen anyone with his skin color, let alone his height. But the people warmed up to him. It was a long process and required Justin to go through all the same struggles they experience on a daily basis — hard work, starvation, disease, and even death. 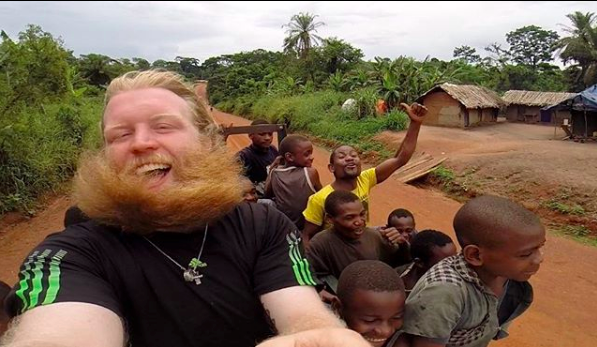 After six years of traveling in and out of the jungle, Justin has spent more than two years collectively with the Mbuti tribe. 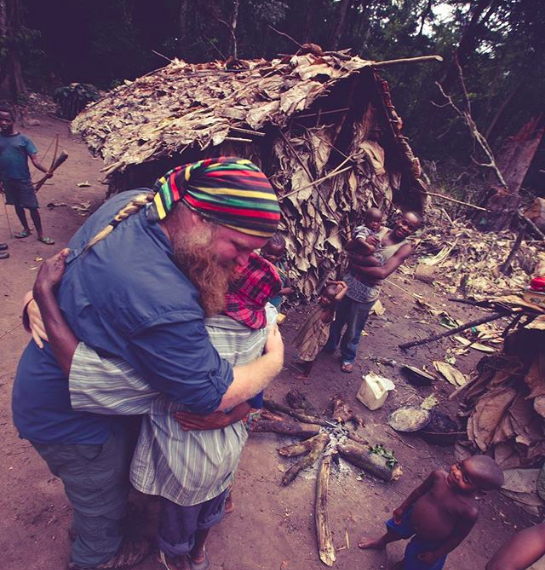 But Justin’s sacrifice living with the Mbuti people wasn’t just to rediscover himself — he wants to help them. As hunter-gathers, they rely heavily on the land. Often, though, it does not provide enough for them to survive. To supplement this, they turn to local farmers, the Mokpala people, for food in exchange for work. But a day of hard labor results in just a handful of rations. This is what slavery looks like today. In an effort to stop this, Justin has made it his mission to get the Pygmy tribes out of the vicious cycle. 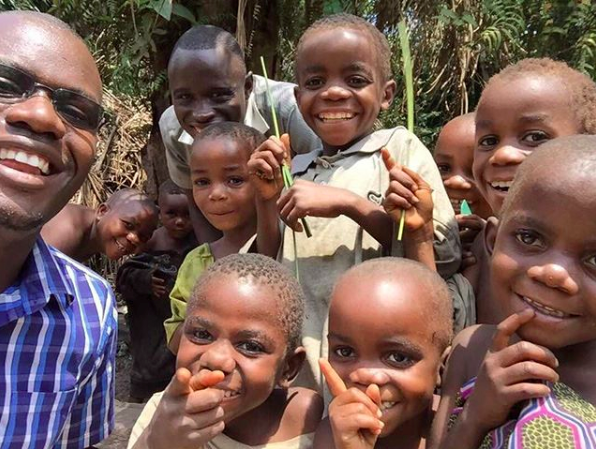 His nonprofit Fight for the Forgotten aims to help the Mbuti people become more self-reliant. Because he’s lived with them for so long, Justin knows what they need and how to get it to them. 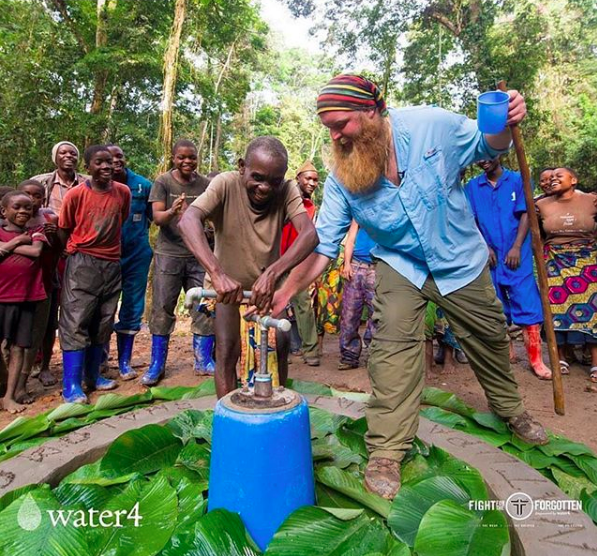 Partnering with Water4, the two groups work to install wells across the Congo. It might seem like an odd concept, considering how the Congo River is such a focal point of the jungle, but the water is notoriously dirty. The tribes still drink it and use it for daily activities, leading to diseases and death. 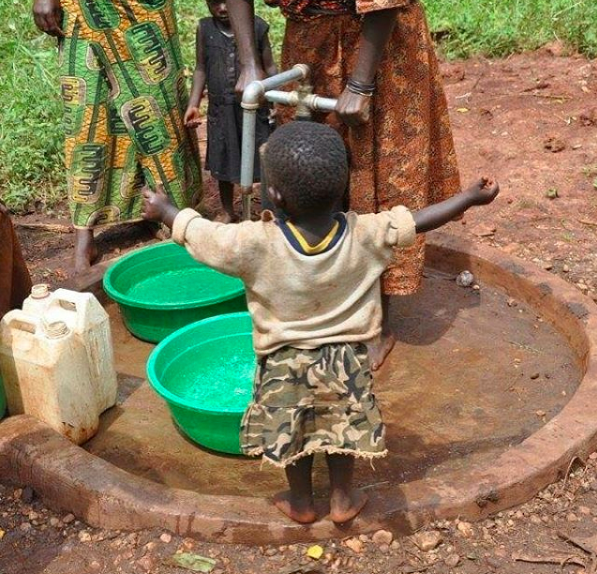 The wells are literally saving lives in the rainforest. But the work doesn’t stop there. 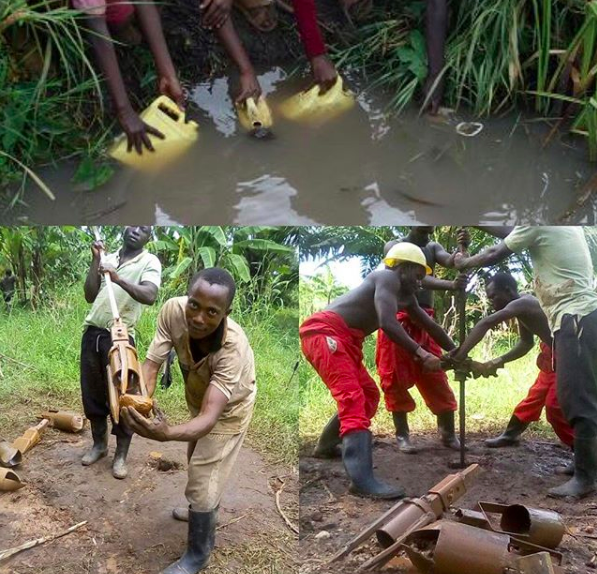 Justin is also helping the tribes learn how to farm. This way, they don’t have to be so reliant on the Mokpala people for food. And his efforts are working. 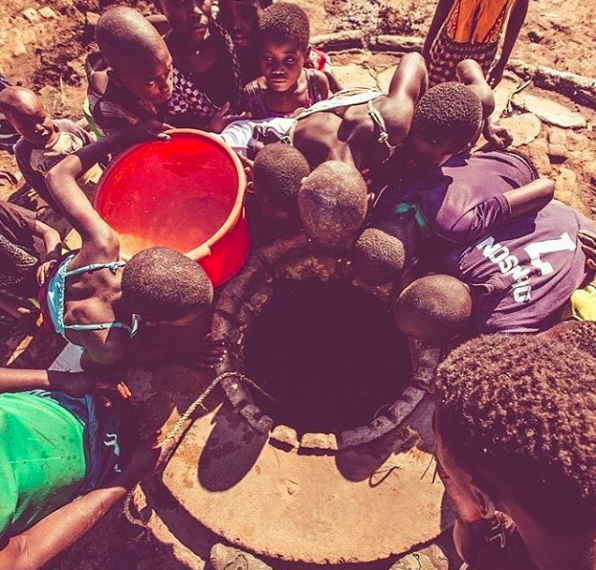 He’s freed countless Mbuti people from the grips of their captors, educated them on the ways of clean water, and offered them a sustainable living. Learn more about Justin’s work in the video below. If you’d like to contribute to his cause, visit his website. Don’t forget to share this man’s work. 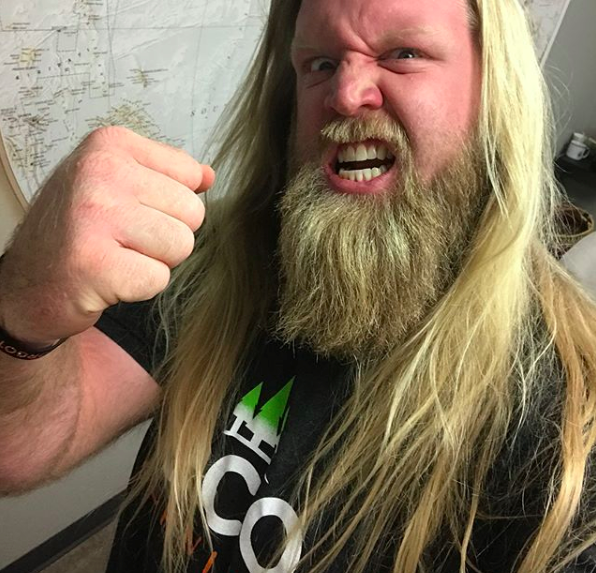 He could have let depression and addiction hold him down, but instead, he turned his struggle into a passion for helping others. We can all learn from his mission. Story originally appeared on Places.Travel.